This Bill is a DEATH SENTENCE for Digital Currency in North Carolina and puts NC in a non-competitive, job loss position for the future. There is Senate version of the bill, NC SB680 sponsored by Senator Rick Gunn. If this bill is reconciled and passed, and signed by Governor Pat McCrory, the bill would mandate minimum net worth requirement of $250,000 for applicants. Businesses would also be required to post a surety bond of $150,000, an amount subject to change based on future transaction volume. The bill, which amends the state’s Money Transmitters Act – covers any activity “involving a personal, family or household purpose”, so it’s not just going to hurt businesses such as exchanges. What NC Rep. Stephen Ross, and Senator Rick Gunn are proposing is like requiring licensing fees for modems, or effectively banning the internet back when only nerds were online… how well would that have worked out for NC? Most technology experts who understand the technology behind digital currency (the blockchain) agree that it’s actually going to be bigger than the internet. The commissioner’s office thinks a 2001 law gives it authority over virtual currency but wants modernized rules. Some senators were perplexed by the fact that virtual currency is not backed by a government. Others wanted higher bonds on the license currency providers to ensure transactions are performed. It’s obvious from the AP article that the senators do not understand digital currency and are just trying to pass laws to regulate it out of fear and greed, i.e. protect the banking establishment and garner new revenues from licensing fees. This is not acceptable and will hinder growth and investment in NC, in what is supposed to be a technology friendly state. The bill, which appears headed to the Governor’s desk, mandates a minimum net worth requirement of $250,000 USD for applicants. Companies are also required to put up an additional $150,000 USD bond, which could go up in the future based on transaction volume. 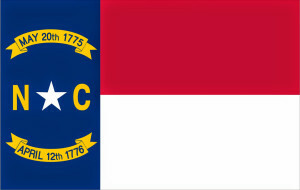 Bitcoin Firm Xapo Cuts North Carolina Access Due to Pending NC Regulation this is what happens with short-sighted, bad, regulations. If HB289 is passed as it currently reads, more and more companies will do the same. Please, if you live in NC, take a minute and contact your senators , representatives, and Governor Pat McCrory and tell them HB289 and SB680 are bad bills – they should model it more after the Digital Currency bill California is working on and after the advice in the video I link to below. At this point, it’s imperative that you email/contact the governor as well as your senators and representatives. Here’s a very educational video of Andreas M. Antonopoulos addressing Senate of Canada about Bitcoin in October of 2014 to help them understand digital or crypto currency and how they should or should not regulate it. The basic understanding out of this session is something I agree with: hands off for a period such as 5 years, but, clarify points such as taxation based on how it’s used (currency vs. investment), financial licensing only if custodial (holding the keys to someone else’s money), no licensing for small “day to day” exchanges of digital currency to fiat, etc.